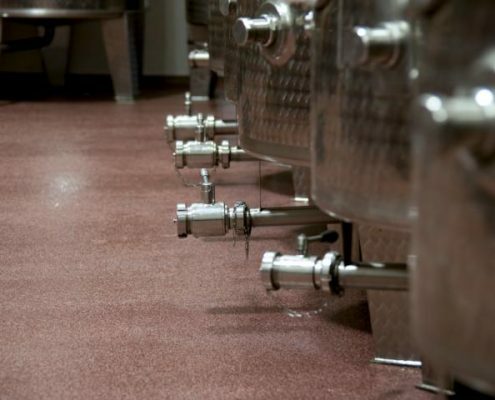 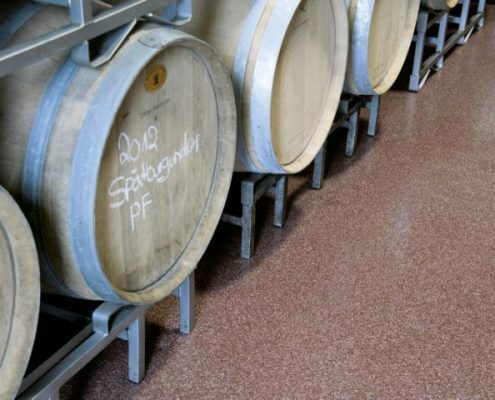 Where grapes are washed and pressed, on the bottling, down in the vaults, in packaging and dispatch and even in the office and at the wine store, a floor at a winery is subject to enormous demands: mechanical loads, aggressive liquids and thermal stress. 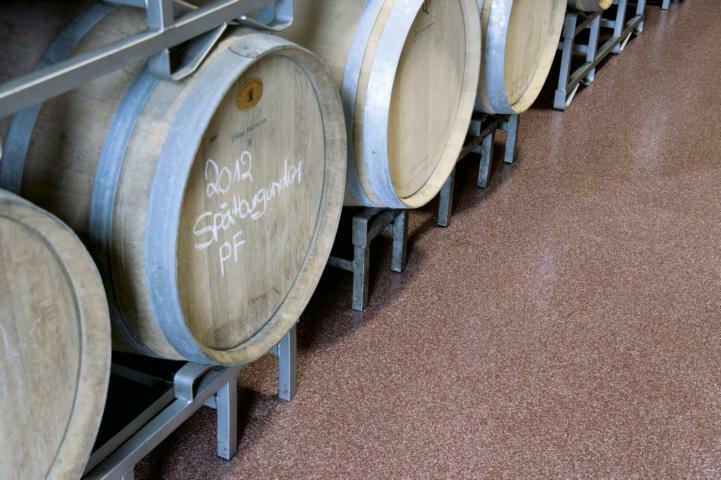 Metal shelves with their heavy wooden barrels, high stainless tanks weight and constant forklift traffic are challenging the floor. 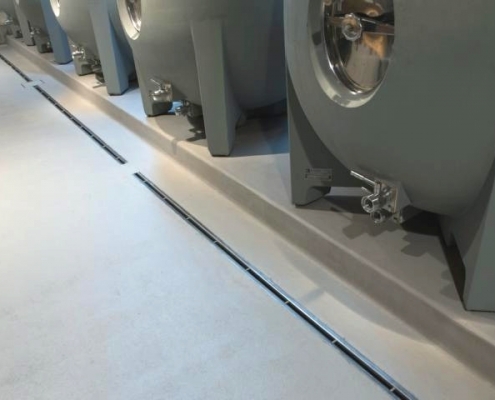 No problem for reactive resins from Silikal. 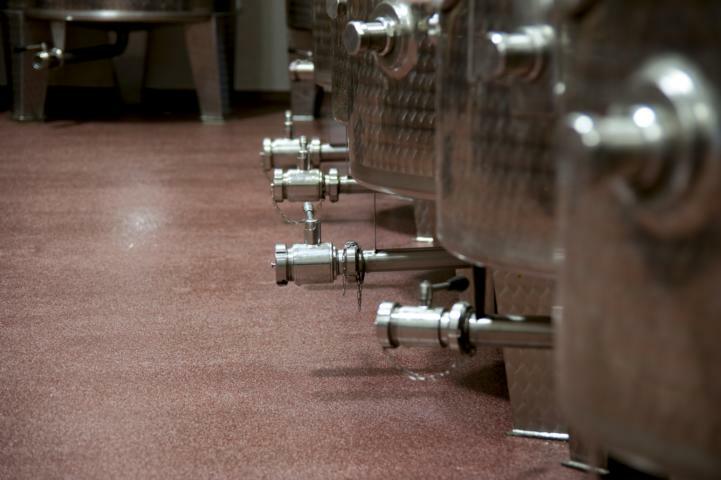 They are resistant to fruit acid, alkalis, salts, greases, oils and many other aggressive substances. 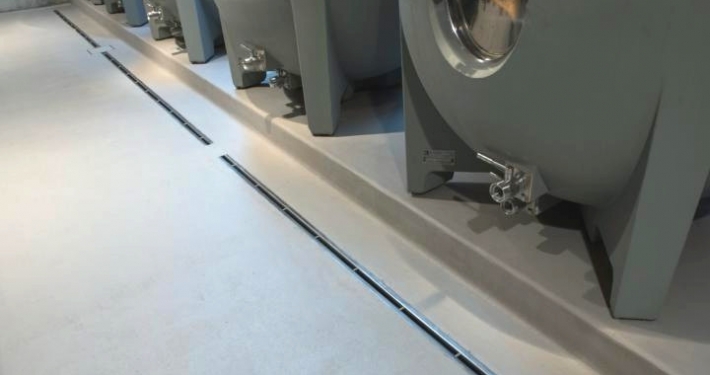 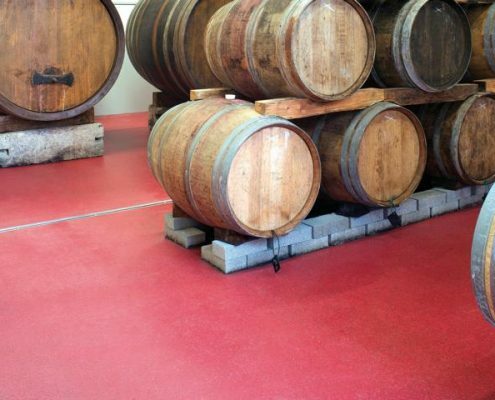 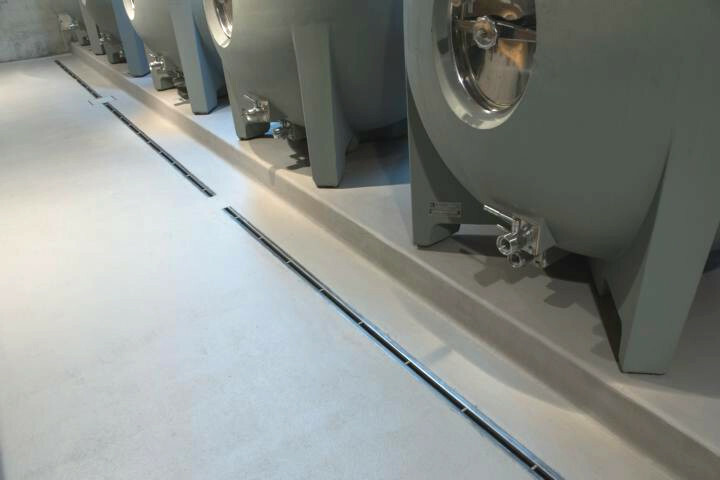 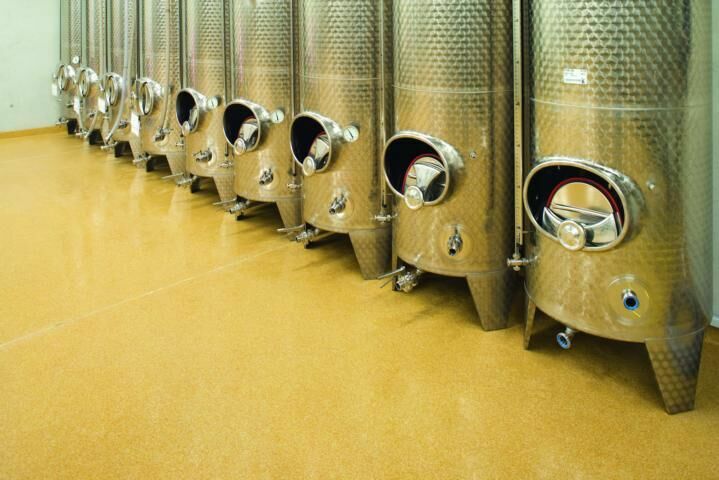 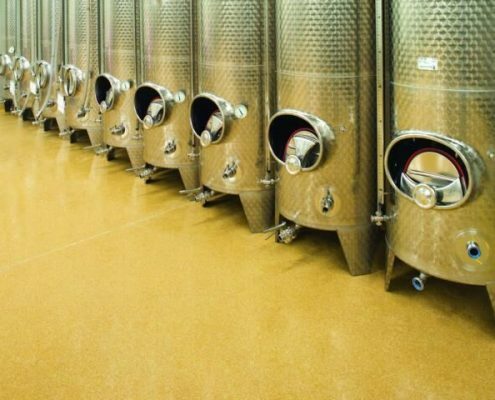 Silikal floors are highly durable, completely seamless, non- porous and when needed slip resistant in case of puddles of spilled wine. 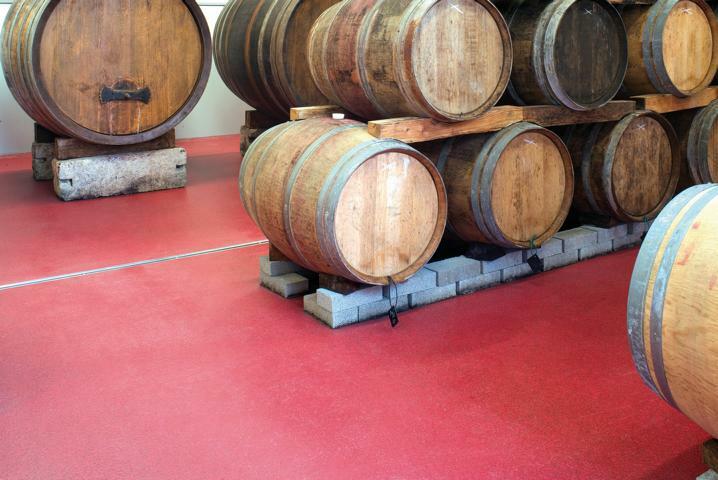 Flooring from Silikal for the "Martinshof"